A good cop crossed the thin blue line this week to expose felony crimes within his department, so he was immediately fired. 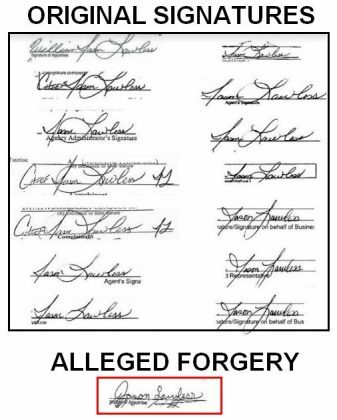 After Mick compared the form to a dozen other documents, he determined that the signature was forged. During the execution of the search warrant, the mayor showed up and attempted to go inside the department. However, police had set up a perimeter and refused to allow him in. 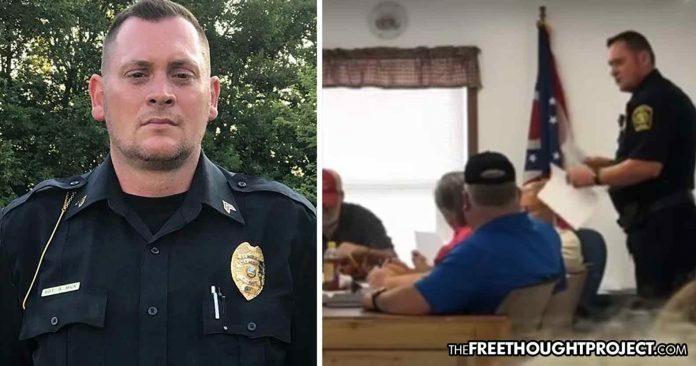 After finding evidence of the felony forgery during the raid, Mick served a felony summons to Mayor Clair “Butch” Betzko and Police Chief David Conrad during a town hall meeting on Monday. As Mick handed Conrad his summons, he was immediately given a termination letter — with no cited cause for his firing. The crowd immediately began calling for the termination of the mayor. Because Mick filed this affidavit before he was fired, according to the Spitz law firm, he has grounds for a lawsuit and could be reinstated before the end of the week. “If they have followed the proper protocols and successfully navigated the legal channels, whistleblowers in Ohio have legal recourse for retaliatory actions taken against them as a result of their whistleblowing,” says Cincinnati attorney Robert A. Klingler. However, this has yet to happen. Mick, like many other good cops before him is experiencing the wrath of the thin blue line. Those good cops who have the courage to cross it often end up punished, fired, or worse. Just this week, TFTP reported on the case of Former DeLand Police Officer Allison Bainbridge who reported a fellow cop for threatening and abusing an innocent citizen. She had the abuse recorded on her body camera yet she was fired and not the offending cop.